Featured amenities include complimentary wired Internet access, a 24-hour front desk, and a vending machine. Free self parking is available onsite. With a stay at Red Roof Inn Lancaster – Strasburg in Lancaster, you'll be in a shopping district, a 3-minute walk from American Music Theatre Lancaster and 8 minutes by foot from Rockvale Outlets. This hotel is 0.7 mi (1.2 km) from Dutch Wonderland and 2.7 mi (4.4 km) from Sight and Sound Theatre. Featured amenities include complimentary wired Internet access, a business center, and express check-out. Planning an event in Lancaster? This hotel features 822 square feet (76 square meters) of event facilities. Free self parking is available onsite. Featured amenities include a business center, express check-out, and complimentary newspapers in the lobby. Planning an event in Lancaster? This hotel features 900 square feet (84 square meters) of event facilities. Free self parking is available onsite. 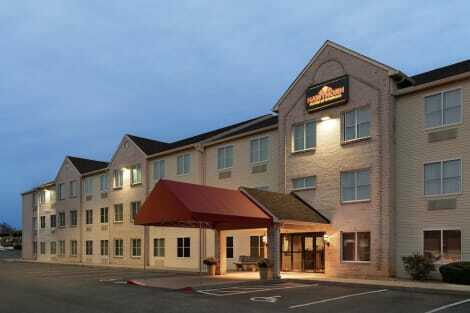 A stay at Comfort Suites Amish Country places you in the heart of Lancaster, within a 10-minute walk of American Music Theatre Lancaster and Dutch Wonderland. 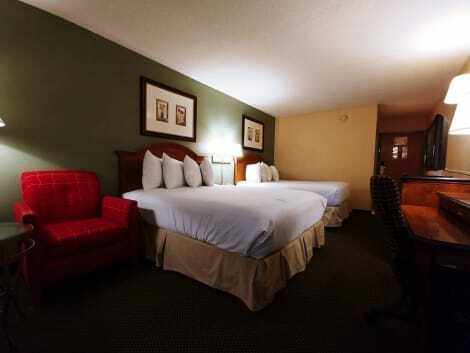 This hotel is 0.6 mi (1 km) from Rockvale Outlets and 3 mi (4.8 km) from Sight and Sound Theatre. Mix quaint with modern at the new Tru by Hilton Lancaster East. Located in the heart of Amish country, you’ll be close to unique attractions, shopping and several corporate headquarters. Find just the right balance in each room with free WiFi, plenty of natural light and a comfy mattress.Breakfast is fun again. From healthy to indulgent, selection abounds with our ‘Build your Own’ Breakfast toppings bar featuring 30 sweet and savory toppings for cereal, bagels, yogurt and more. Grab snacks, drinks, light meals and single-serve wine and beer in the 24/7 market.A four zone lobby lets you work, play, lounge and eat. Energize in a fully equipped fitness center, then unwind in the indoor heated pool.Affordable travel now comes with unexpected things – like certainty. At The Country Inn of Lancaster, enjoy a satisfying meal at the restaurant. Wrap up your day with a drink at the bar/lounge. A complimentary continental breakfast is served daily. At The Hotel Lancaster, enjoy a satisfying meal at the restaurant. Wrap up your day with a drink at the bar/lounge. Cooked-to-order breakfasts are available daily from 6:30 AM to 11:00 AM for a fee. Located in Lancaster, DoubleTree Resort by Hilton Lancaster is in a rural location, a 5-minute drive from Hans Herr House Museum and 5 minutes from Historic Rock Ford Plantation. This family-friendly resort is 5.4 mi (8.7 km) from Millersville University and 5.9 mi (9.5 km) from Dutch Wonderland. Make yourself at home in one of the 130 air-conditioned rooms featuring refrigerators and Smart televisions. Complimentary wired and wireless Internet access keeps you connected, and satellite programming provides entertainment. Private bathrooms with shower/tub combinations feature complimentary toiletries and hair dryers. Conveniences include desks and complimentary newspapers, as well as phones with free local calls. lastminute.com has a fantastic range of hotels in Lancaster, with everything from cheap hotels to luxurious five star accommodation available. We like to live up to our last minute name so remember you can book any one of our excellent Lancaster hotels up until midnight and stay the same night.